Let me start by saying that if you are a vampire, you will absolutely love mushrooms. Wait, what? You see, vampires like to hide from the sun, but this means that they are also missing out on vitamin D. Luckily, mushrooms are in fact the only source of this vitamin and the best part is that you are getting it without the ultraviolet B. Of course, this is not to say that you should avoid the sun altogether–it’s just to show how awesome mushrooms are. This combined with the ham proteins and the deliciousness of the risotto will make you instantly fall in love with the dish–vampire or not! Prepare the broth by combining all ingredients in a large pot and bring to a boil. Allow to simmer gently 30 minutes over low heat. Filter. In a saucepan, brown the onion in the oil, 5 minutes over medium heat. Include the rice and stir for 2 minutes to flavor. Add the mushrooms and wine and deglaze. Do the same with the ham and mix. Pour 250ml of broth in the risotto pot and shake gently, so that the rice does not burn on the bottom. About 5 minutes later, add 250ml more of broth and stir. Continue cooking the rice for about 15 minutes. Remove from heat, add parsley, butter and Parmesan and stir 1 minute before serving. How often did you make this dish in the last week? 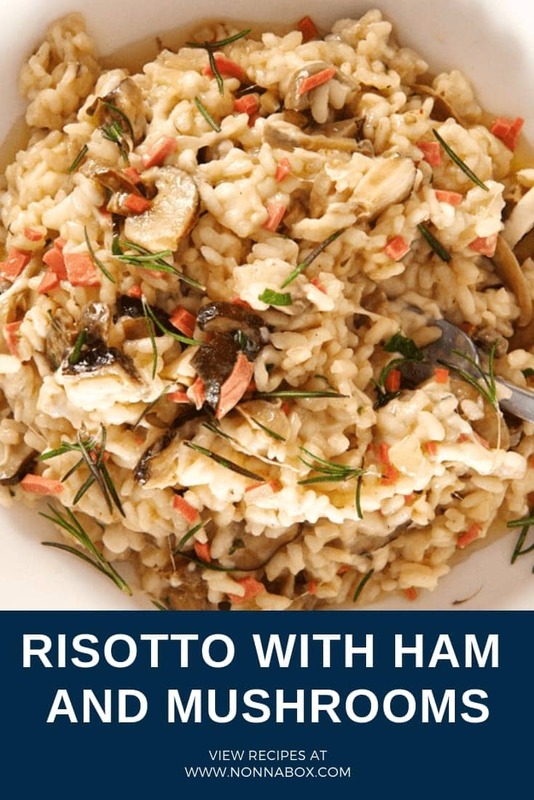 I only eat ham and mushroom whenever I eat pizza, but thanks to this recipe I’ve been eating a lot these days coz the taste is perfect for my taste buds!